Can mathematical modelling and game theory be used to make airport security less predictable to aggressors? Teamcore, a US research team working with the TSA and Los Angeles Airport, is working to prove that it can. Chris Lo talks to Teamcore principal investigator Professor Milind Tambe to find out more. Milind Tambe, who leads Teamcore, is a professor at the University of Southern California's Computer Science and Industrial & Systems Engineering departments. Image courtesy of: Philip Channing. 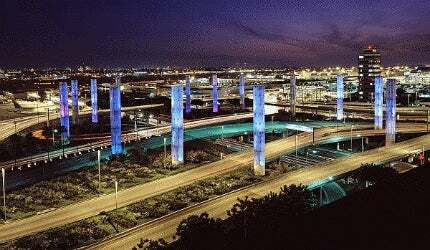 One of the challenges for ARMOR has been to prioritise checkpoint allocation on the six major routes to Los Angeles International Airport. Image courtesy of: Carol M. Highsmith. 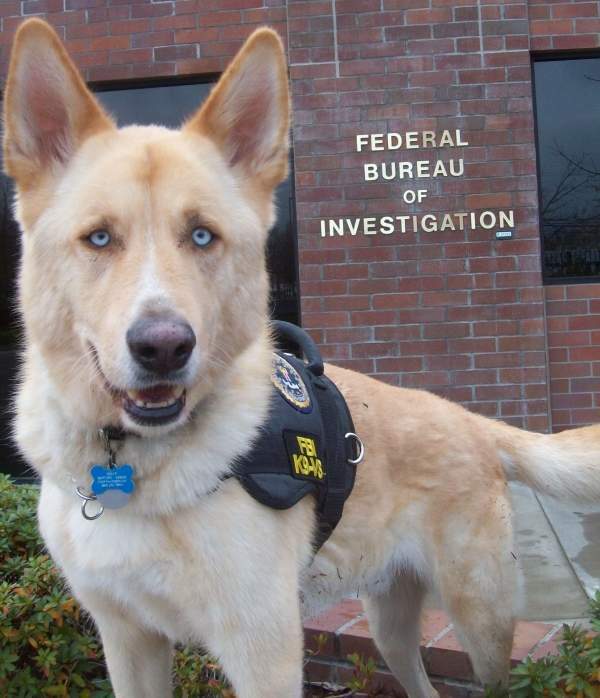 Game theory could potentially make security elements, such as K-9 patrols, much less predictable to aggressors who could be conducting surveillance. Image courtesy of: FBI. Securing airports is a mighty challenge for any security agency. Complex security layers have to be stacked, like a Russian doll, from an airport’s outermost perimeter to the inner sanctum of its boarding gates to identify, analyse and remove potential threats. As such, even with the most stringent measures in place, airport security organisations have to deal with a perpetual challenge: with the ability to observe and study an airport’s security layers, the ball is always in the court of terrorists and other security threats. The staff and systems that safeguard the world’s airports simply have to be ready to react if and when an attack comes. "Any time you introduce a new security activity into the mix, it forces an adversary to pay a cost to figure out how to circumvent it." For the last few years, Teamcore, a research group based at the University of Southern California, has been using the complex mathematical principles of game theory to address this fundamental airport security conundrum. Game theory is the mathematical modelling of how two intelligent entities strategically interact; in this case, the two entities are airport security and airport aggressors, or as Teamcore’s principal investigator Professor Milind Tambe calls them, "the bad guys". 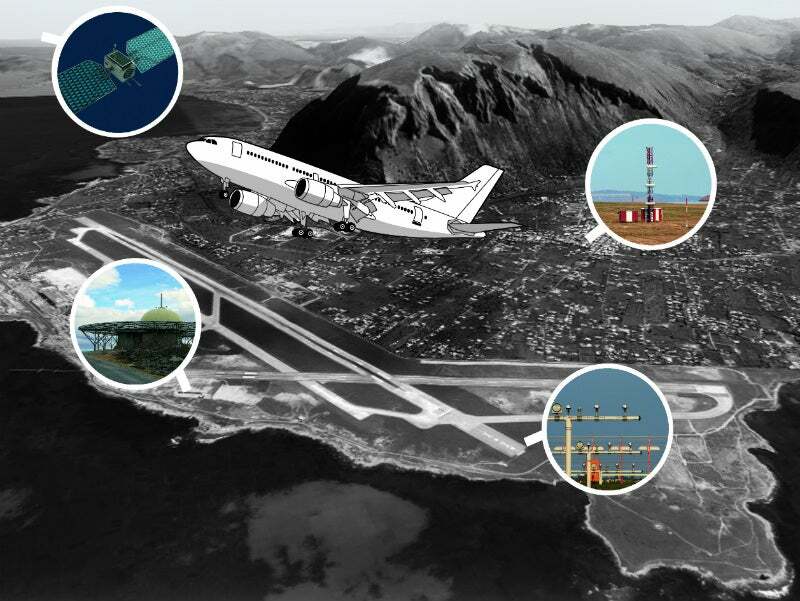 Using a specific strain of game theory called the Stackelberg game, in which security agencies must act first by setting up their security defences while their adversaries can use surveillance to try to find weak spots, Tambe’s team is coming up with a new way for US airports to thwart terrorist surveillance by introducing randomness into security strategies and scheduling. The team’s ARMOR system has been installed at Los Angeles Airport (LAX) since 2007, and a prototype of its more sophisticated GUARDS system is currently being evaluated by the US Transportation Security Administration (TSA) for potential future use in its security operations across hundreds of the country’s airports. We talked to Professor Tambe to get an insight into the potential benefits of game-theoretic approaches for airport security, and ask how an element of unpredictability can be achieved without sacrificing a consistent security strategy. Chris Lo: Could you explain the Stackelberg game and how it can apply to airport security? Milind Tambe: The Stackelberg game is a particular kind of a game formulation, where we say the security agencies must act first. They act first and the adversaries can observe what they’re doing by conducting surveillance, and then react. So there’s this notion of a sequential move, in the sense that one party must act first, must commit to something first, and that’s why we have focused on Stackelberg games. In this case, for example, at LAX the police set up checkpoints and the checkpoints are obviously very visible, so the adversaries can see where the checkpoints are being set up and when. So if they wish to conduct an attack they’ll react to that, and therefore we have this notion of a Stackelberg game. CL: What advantages can game theory bring to airport security? MT: The main point here is we have limited resources, and we have to protect a lot of things. What we’re proposing is that game theory can optimise the use of our limited security resources. How do you optimally plan limited resources in the presence of an adversary? Game theory provides us [with] a method of trying to accomplish that. The end result, often, is a randomised strategy, a schedule that randomises the deployment of security resources, be it checkpoints or K-9 patrols. CL: How can randomness be introduced while also maintaining a coherent security strategy? MT: That’s a very good question. Even though it is random, it is systematic randomness, if you will. It’s intelligent randomness. "It is randomised, but there is a systematic element to that randomness, even if that sounds paradoxical." It’s well planned out, so we have the scheduler that is taking into account all of the constraints that are input. You may have constraints, like some teams may only be deployed at certain times, or something is more important at a certain time. All of those constraints are taken into account, and after taking those things into account it does its best in terms of offering a way to randomise. So it is randomised, but there is a systematic element to that randomness, even if that sounds paradoxical. You can schedule things in advance; for example, we use the same type of approach for introducing unpredictability into the operations of the Federal Air Marshal Service, where they may have to plan way in advance because you have people going to foreign countries and coming back. So they may need to organise a lot of things in advance. There is some planning that can be done around that element of unpredictability that gets introduced. CL: Presumably the goal with randomness is to make security strategies harder to analyse through surveillance? MT: That’s exactly right; this was one of the things that, at LAX, was deemed to be a very important issue – the amount of surveillance that may be conducted prior to an attack. In their particular case, at the time the system was deployed the threat they were most worried about was a vehicle-borne IED [improvised explosive device], so they were thinking about trying to defeat any surveillance that may be conducted to locate holes in security. CL: Can you tell me more about the ARMOR project and the security issues it is addressing at LAX? "Game theory is the mathematical modelling of how two intelligent entities interact; in this case, the entities are airport security and aggressors." MT: ARMOR came about in 2007 as a collaboration with the Los Angeles World Airports Police; the University of Southern California created a Homeland Security Centre, where I’m one of the principal investigators. So they approached us saying that they have these specific problems: firstly, they have six inbound roads leading into LAX but not enough police officer to man checkpoints on all roads at all times. So the question then becomes where and when do you set up these checkpoints? The second challenge was having eight terminals but not enough K-9 units to be at all terminals at all times, so how should you set up the patrols? Those were the initial challenges that they set up for us. To address them we created two separate programmes – one for ARMOR checkpoints and one for ARMOR K-9s. This was done in April 2007 and then we iterated with them on the design of the interface and what would be convenient, and getting all the correct data inside the programme – passenger loads and things like that. Once we had all of that information input, in August 2007 the system went into operation. Subsequently, we kept upgrading the system by changing the interface and input data. The system is still in operation; it’s been five years now and we’re continuing to collaborate with the airport to further enhance the system. We are going to meet with them next week and try to see what more can be done. 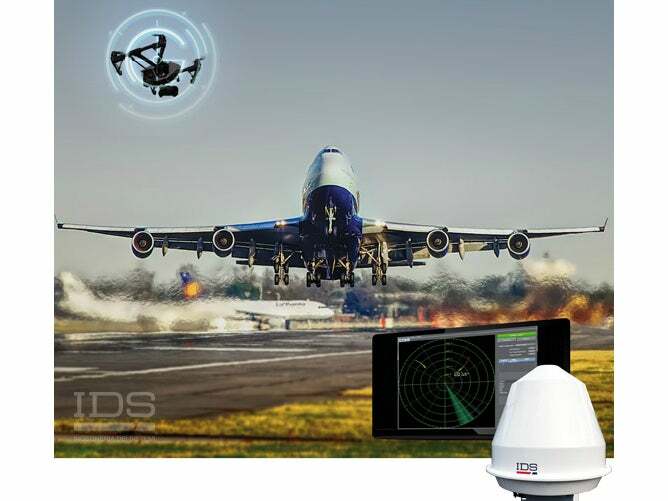 Obviously, one of the things that will need to be changed is the data – the patterns at the airport, the passenger loads and other things need to be updated. It’s an ongoing system in the sense that there are a lot more processes that could be integrated in the future. CL: The GUARDS project is bigger than ARMOR in that it aims to address airport security as a whole, rather than specific objectives. How challenging has it been to create an application with such broad objectives? MT: We’ve delivered the initial prototype to the TSA and at this point in time, we are waiting for further guidance as to how to proceed. As opposed to the ARMOR project, which was for the Los Angeles airport police, GUARDS is for the TSA [Transportation Security Administration], so it addresses the activities that the TSA conducts inside airports. GUARDS is not involved with passenger screening in any way, we’re involved in the behind-the-scenes activities that the TSA conduct to keep airports safe. Whereas with ARMOR there was a very specific threat, the issue here is that there are all these different methods but they aren’t all geared towards one specific threat. So we had to introduce a newer model to understand these threats, and we call them security circumvention games. The basic idea is that any time you introduce a new security activity into the mix, it forces an adversary to pay a certain cost to figure out a way to circumvent that activity. So the more heterogeneity that you introduce into the security mix, the more the adversary may have to pay a cost in terms of figuring out how to circumvent them. CL: What do you think could be achieved with game theory and airport security in ten to 15 years? 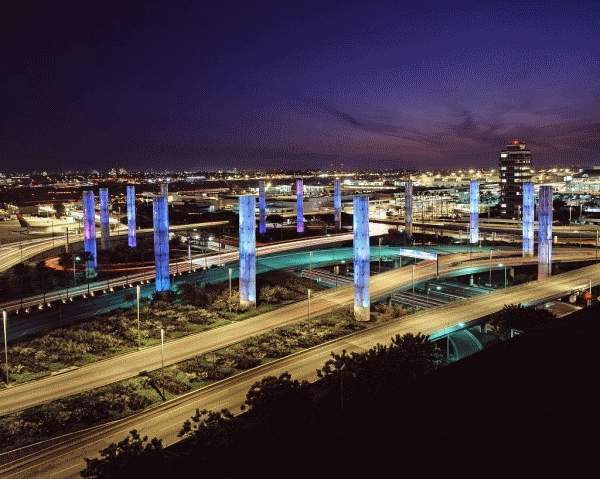 MT: If you think about the whole airport at LAX, it’s a massive system and we’ve only looked at a couple of parts of it. If you look at it as a whole, there’s potential here, where there are so many different security agencies working together, to help by providing a mathematical tool to look at it in a comprehensive fashion, and to understand the trade-offs. There’s a lot that game theory can contribute towards helping security officials. But at the same time, one must emphasise that there’s no substitute for the experience and intuition that human experts have. This is just an additional tool to help them.